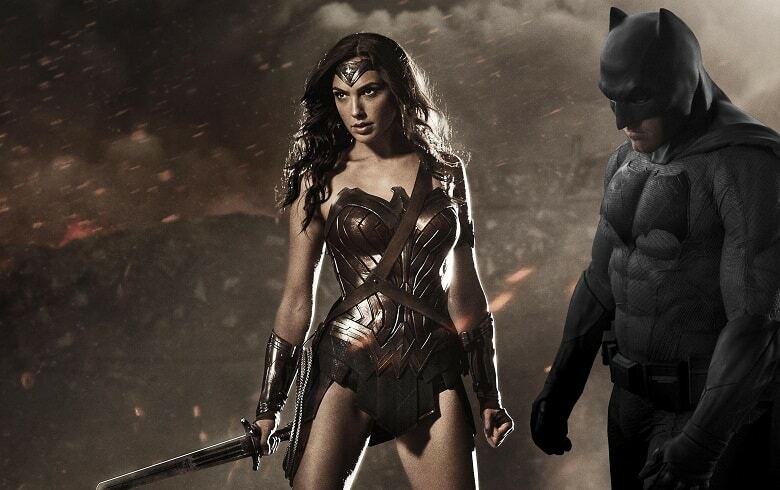 RUMOR: New ‘Wonder Woman’ Details Emerge; Batman To Appear? The DCEU news just keep coming! Next year will mark the cinematic debut of Wonder Woman, with Gal Gadot playing the titular part in Zack Snyder’s Batman v Superman: Dawn of Justice. After that, Wonder Woman is set to receive her own solo outing, which will be directed by Patty Jenkins for a 2017 release. The film just so happens to start shooting next month, so naturally a few very interesting rumors have started making the rounds on web. As we previously reported, the film is rumored to take place during both World War I and Modern Day. A new report by JoBlo seems to confirm what we heard about the setting of the film, with the site adding that the film will follow certain aspects from the comic books very closely, including the mythological elements. Here’s where it gets even more interesting though. The modern day events of the film actually take place before Batman v Superman: Dawn of Justice! More on that later. Last we heard, Warner Bros was eyeing Sean Bean and Eva Green to play two of Wonder Woman’s biggest adversaries, Ares and Circe. JoBlo is hearing that both villains are indeed in the film, with Ares having a “puppet master” role, kind of like Thanos in the Marvel Cinematic Universe. At some point in the film, Ares is said to employ an army of winged monsters after Wonder Woman, to prevent her from stopping Circe. Expect to see the latter transform into a chimera-like monster during her final showdown with Wonder Woman. Both villains are expected to look very much like their comic book counterparts, but no surprise there after the faithful Trinity costumes in Batman v Superman. Moving on to the story, most of the film is expected to take place during modern day, with Wonder Woman and Steve Trevor trying to stop Circe from starting World War III with the help of Ares, who Wonder Woman has a history with, after defeating him on WWI. Will we see the Invisible Jet though? According to JoBlo, we will, but it probably won’t play a big part in the film. We’ll first see it when Diana and Steve leave Paradise Island, probably during the beginning of the film. That’s not all though. As I mentioned earlier, the film apparently takes place before the events of Batman v Superman: Dawn of Justice. A few months back, we found out that Ben Affleck’s Batman and Gal Gadot’s Wonder Woman have known each other for quite a while and it looks like that’s because the Caped Crusader actually has a part in the film! That’s right, apparently Batman will be watching Diana during her final showdown with Circe and Are’s monsters, leading him to approach Diana after seeing her save civilians during the battle. Remember, these are all rumors for now, but JoBlo has a pretty solid track record, so some of the plot points above might actually make it into the final cut of the movie. What do you guys think? Let us know in the comment section below.